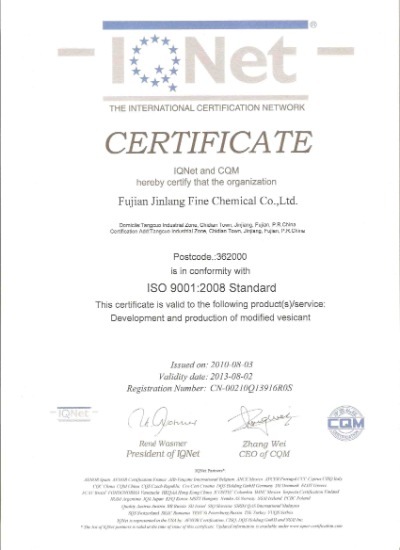 Company Overview - Fujian Quanzhou Jinlang Chemicals Co., Ltd.
12YRSFujian Quanzhou Jinlang Chemicals Co., Ltd.
Fujian Jinlang Fine Chemical Co., Ltd was set up in March of 2005. As an enterprise with sole investment from Hong Kong, it's registered capital amounts to 20 million Hong Kong dollars and its total investment amount to 35 million Hong Kong dollars. The corporation has introduced advanced overseas technology and equipment, and specializes in the industry of rubbers and plastics by taking R&D, manufacture and marketing of rubber and plastic products as its major business and taking foaming agents and other functional rubber adjuvant as its key products. R&D personnel of our corporation have assimilated the application technique for the production of excellent home and oversea foaming agents, and ,based on this, they have developed successfully the foaming agent series of more excellent and more competitive performance that are used widely in the jetting technology of EVA&MD, EVA slippers made by jetting technology, soft and hared foamed PVC products, foamed products of TPR, rubbers, PE, PS, NBR+PVC copolymer, PP, and various engineering plastics. 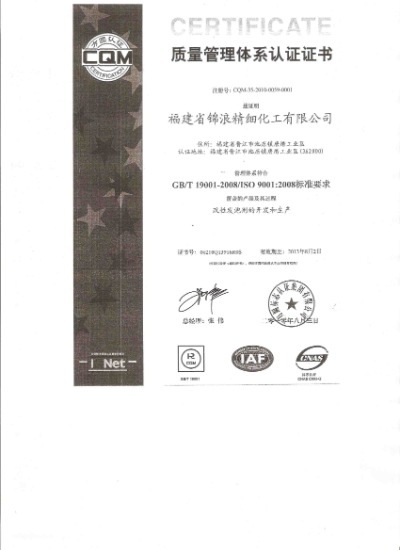 The successful development of foaming agent series by JINGLANG marks the significant progress of the level of production and R&D of rubber and plastic adjuvant in China. 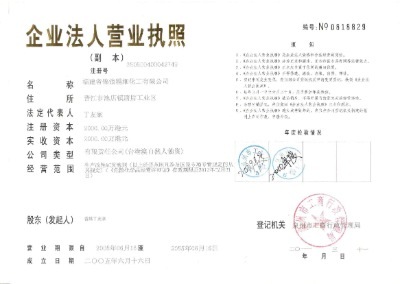 Thanks to all R&D staff in our corporation who have taken pains to solve the key problem in R & D, our corporation has exceeded home and overseas peers in the field of foaming agents for jetting technology of EVA and TPR and foaming agents for engineering plastics.And The branch Jinjiang Jinhong Footwear Materials Co., Ltd is a large scale manufacturer of footwear materials, which specializes in the production of EVA compound, mainly for EVA slipper and sandal, EVA midsole, 3D materials. Advanced Full-Auto EVA Production Line and EVA Injection Trial Machine have been introduced into our company, we have experienced technicians and has been devoting to technology study since its establishment, and our quality is always stable.Our products are not only sold well all over China, but also are very popular and trusted in Russia, Nigeria, Cameroon, Ghana, and Malawi, etc. Our management principle is The quality is the first & the customer is the first ". We sincerely propose to serve for home companies and abroad companies.